Matthew Joined Cleary Insurance as an Employee Benefits Specialist to assist with new and existing business. He graduated from the University of Massachusetts Amherst with a BA in Sociology and has over four years experience in the insurance industry as well as a background in Human Resources. He is responsible for assisting clients with choosing and administering their benefit programs by analyzing their plan design and rate structure and keeping them up to date on the ongoing health care legislation to ensure compliance under the ever-changing ACA guidelines. He also supports clients through evaluating employee wellness opportunities and providing continuous communication and feedback on new ideas and developments in the benefits marketplace. 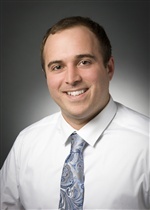 Matthew has his Massachusetts Producer License in Health, Life and Accident and regularly attends seminars and broker trainings to stay up to date in the employee benefits field.